Croatia has more to offer than abundant landscapes, natural springs and a stunning coastline. It's also rich in the flavor and aroma of authentic local products. The recipes have been passed down from generation to generation as cherished cultural possessions, the love for which has been woven into the flavors of our wines and cuisine. However, the most important aspect is that those flavors have been nurtured by the climate we enjoy. Ten dishes have been designated as part of our Croatian intangible cultural heritage, and a considerable number of dishes and wines have been labeled "originally Croatian" or "Croatian quality." Moreover, there are many excellent restaurants to enjoy. Quality rural tourism is developing rapidly. Family and countryside households are spreading fast, the roads of vineyard tourism are marked, and the number of manufacturers of top-quality wines, cheeses and oils is increasing dramatically. Of course, all this and much more is known to our agencies. 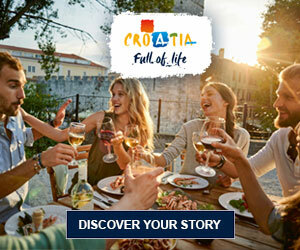 As experts in gourmet tourism, their mission is to introduce each guest to the charming flavors and aromas of Croatia.